GoldMine Basics Overview Webinar – Last Day to Register! See the basics for activity management, sales, marketing and customer service. See what’s new, including integration with ConstantContact and our new Web Client option – included free with any new purchase or upgrade. You’ll get the overview – and then we can answer your specific questions afterward. Even if you can’t attend you should register anyways because we will provide everyone with a link to the recording. Our certified partners have special offers that will expire on September 30th so this is the best time to sign-up. https://www.goldmine.com/wp-content/uploads/2016/08/gmlogo-300x138.png 0 0 GoldMine News https://www.goldmine.com/wp-content/uploads/2016/08/gmlogo-300x138.png GoldMine News2015-09-16 15:53:162015-09-16 15:53:16GoldMine Basics Overview Webinar - Last Day to Register! https://www.goldmine.com/wp-content/uploads/2016/08/gmlogo-300x138.png 0 0 GoldMine News https://www.goldmine.com/wp-content/uploads/2016/08/gmlogo-300x138.png GoldMine News2015-06-18 23:57:302015-06-18 23:57:30Why CRM is NOT a Settled Science! Bethesda, MD, June 10, 2015 – As businesses seek a higher return and increased effectiveness on marketing, sales and service program investments, the Customer Relationship Management (CRM) software market is seeing dramatic growth – Gartner forecast a $37B market by 2017. Enhanced CRM software offerings include Big Data Analytics/Insight, Social CRM applications, Mobile functionality as well as Gamification features, reports ISM Inc. (www.ismguide.com) as part of its bi-annual Top 15 CRM Software Awards. For the past 25 years – since 1990 – ISM, through its Software Lab, has been awarding recognition to leading CRM providers in Enterprise and Small & Medium Business (SMB) categories. “The winners of the 2015/16 Top 15 are the influencers in the CRM community who have made significant advancements in both functionality and connectivity for sales, customer service and marketing professionals; offer better decision making tools for executives; and provide more intimate connectivity with today’s Digital Clients,” said Barton Goldenberg, founder/president, ISM. Goldenberg also notes two meaningful CRM industry trends: (1) ‘Social CRM’ will grow significantly as noted in his recent book, The Definitive Guide to Social CRM (Pearson, 2015) and (2) the ‘Internet of Things’ – where every day physical objects connect to the Internet – will explode from 9 billion connecteddevices/.sensors today to a forecasted 2 trillion devices/sensors connected by 2020. 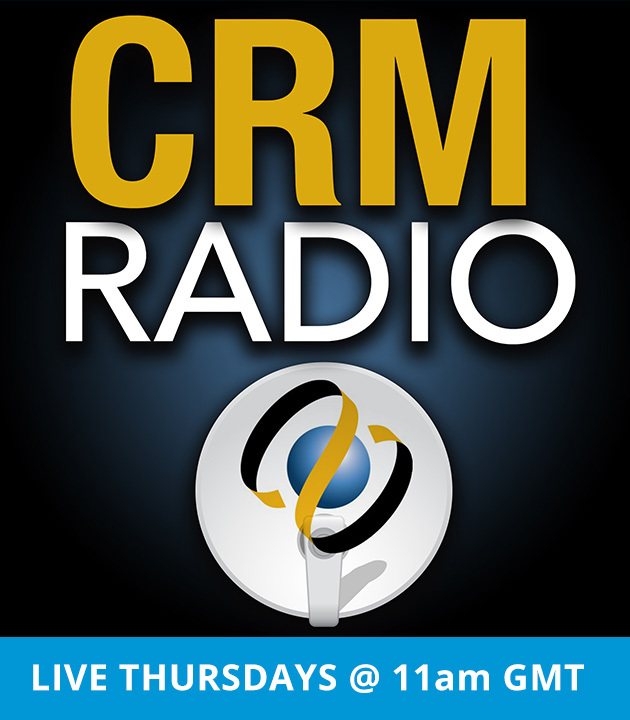 “The winners of the 2015/16 Top 15 CRM Software Awards are clearly the leaders and innovators in this fast-paced and growing industry,” he added. ISM’s Top 15 CRM Software Awards are based on rigorous testing of CRM software applications from around the world that are sold in the North American marketplace. Each software application is rated according to 179 selection criteria. With no ownership in or by a vendor, ISM’s software analysis is 100 percent unbiased. The Top 15 winners for each category are available for purchase in CD and downloadable format at ISM’s website. For more information, call 301-656-8448 or email John Chan at j[email protected]. to take place in 2017. Founded in 1985 and headquartered in Bethesda, MD, ISM Inc. provides customer-centric strategic services to organizations planning and implementing CRM/Social CRM, Big Data Analysis/Insight, Branded Communities, Customer Experience Management, and Channel Optimization initiatives. Clients include best-in-class organizations such as American Automobile Association, Exxon Mobil, Federal Reserve Bank, Giorgio Armani, Johnson Controls, Jaguar Land Rover, Kraft, Marriott, McGraw Hill, Nike, Samsung, T. Rowe Price, Zumba and more. Barton Goldenberg, ISM’s founder and president, is a respected author, columnist, speaker and industry leader, including being one of the first three inductees in the CRM Hall of Fame. His new book, The Guide to Social CRM, published by Pearson, is receiving industry-wide accolades. Learn more about ISM’s services at www.ismguide.com or call (301) 656-8448. GoldMine is a leading provider of relationship management solutions designed for all businesses. 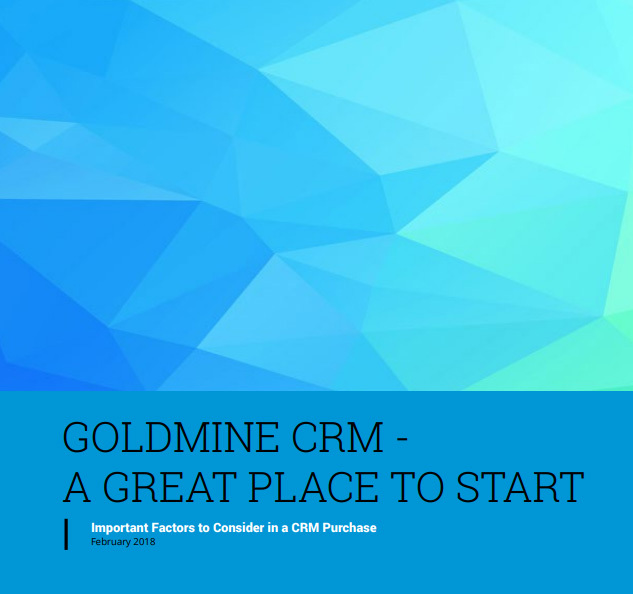 With over 1 million users shipped GoldMine users have managed over 1 billion relationships; GoldMine is one of the most widely used relationship management technologies in the world. GoldMine is a division of Heat Software and is headquartered in Milpitas, Calif., USA. More information can be found at goldmine-staging.azbgxjyq-liquidwebsites.com.